Okay, I'm in the final days before my kids get out of school and I am having mixed emotions. I have suddenly started deep cleaning my house for some reason. I felt the need to completely clean out the downstairs basement rooms, one of which has been home to our rats (my kids have pet rats). 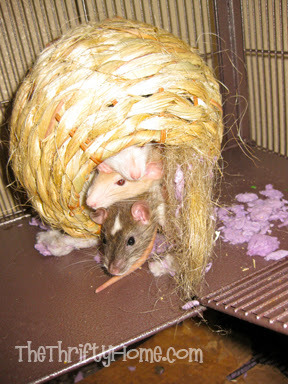 I decided to move the rats to the workroom, clean out all of the junk, and reclaim that room. 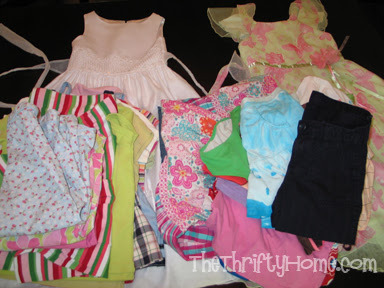 I tossed a ton of things and sorted other things that I need to sell online, which tends to bring up all sorts of emotions (getting rid of junk tends to do that, especially when a lot of it is clothes my kids have outgrown). When I got everything out of the room I had a lot of rat pee to clean off the walls (rats are great pets, but can be a bit messy). I got out my new Shaklee basic H and wiped the walls down (I am really starting to love this stuff and am finding all sorts of practical uses). 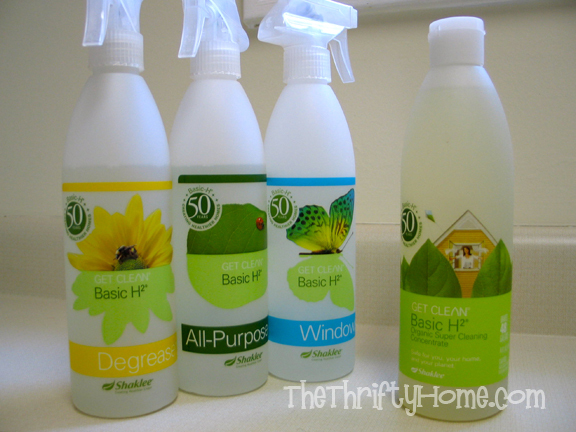 If you want to try a sample of Shaklee Basic H cleaner, hurry and enter my giveaway by Saturday, May 26th (There will be 5 winners). I also shampooed the carpet and now have a completely empty and clean bedroom. 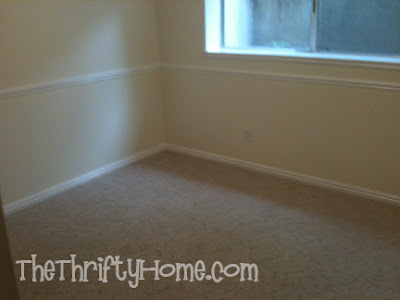 An entire bedroom with nothing in it! Oh, the possibilities! I haven't decided what that room will be yet and am enjoying the empty space. I didn't take a "before" picture because no one wants to see a junky room with rat pee on a wall, but believe me it was not a pretty site. And the bonus is that I just sold a box of clothes for $75 yesterday! I have about 5 more boxes of clothes to list and sell so I will not only have less junk taking up space, I will have more money! Gotta love organizing and de-junking! After I cleaned out the basement bedroom, it felt so good that I cleaned out half of the garage and the entire shed (not an easy task since that is where all of the extra junk went after we moved in a year ago). De-junking and organizing is one of those things that is really hard to start, but very addicting once you do. Maybe I have been motivated since Summer is quickly approaching and I know that I will be too busy with my kids to get anything done. What have you been doing to save money? I always enjoy your parties, thanks for hosting! You are right- dejunking can be addicting, especially when you can sell stuff. We just did a yard sale last weekend and the night before I was still wandering around the house looking for more stuff to sell. Even though we had an entire driveway full of stuff, I really don't see a difference in the house. Hmm. I just found your blog. I love all the ideas you have here! Where did you sell your clothes? I've been using a cool site that I really like called http://www.bookoo.com. I love selling things on there. It's essentially a virtual yard sale!